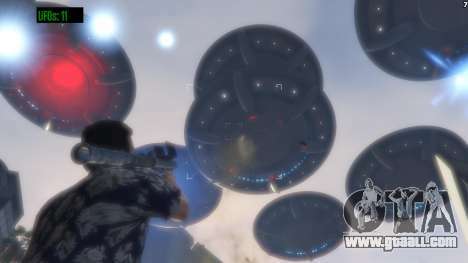 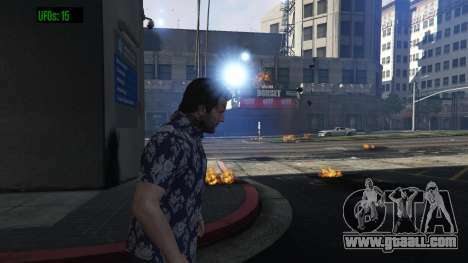 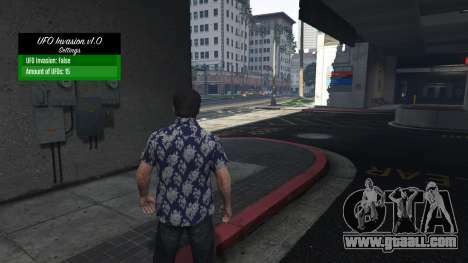 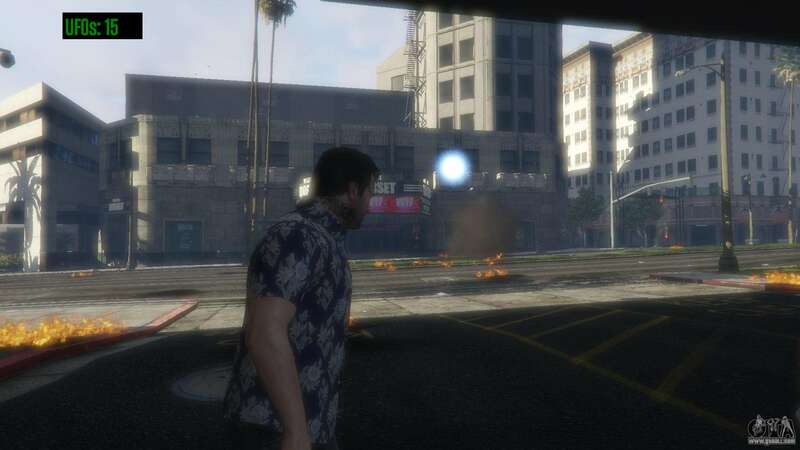 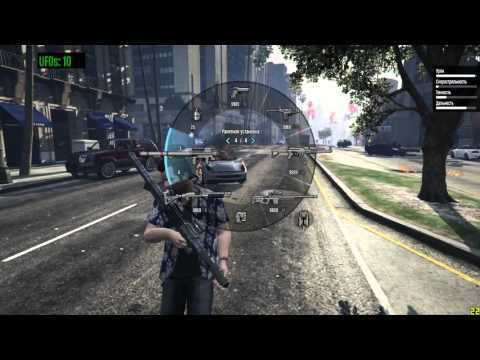 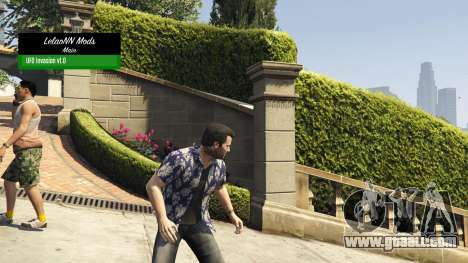 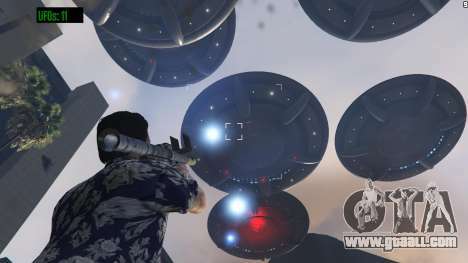 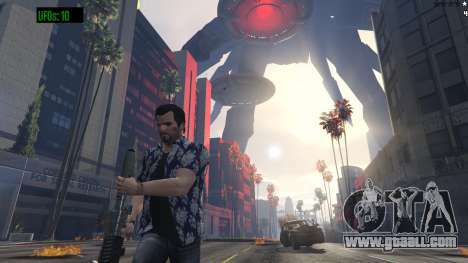 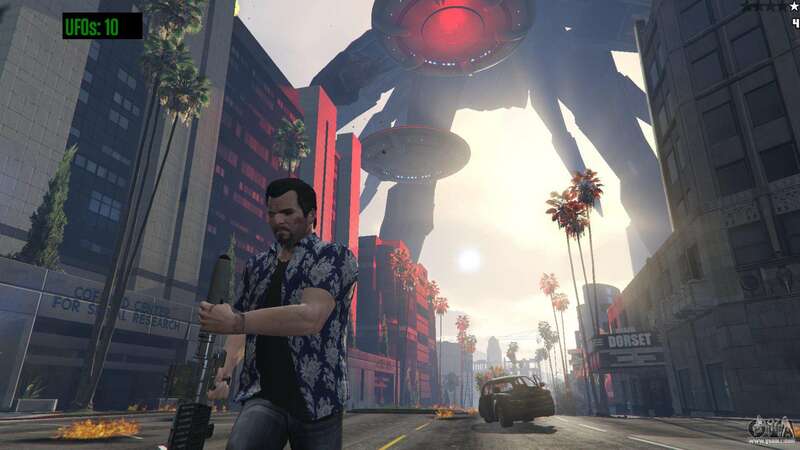 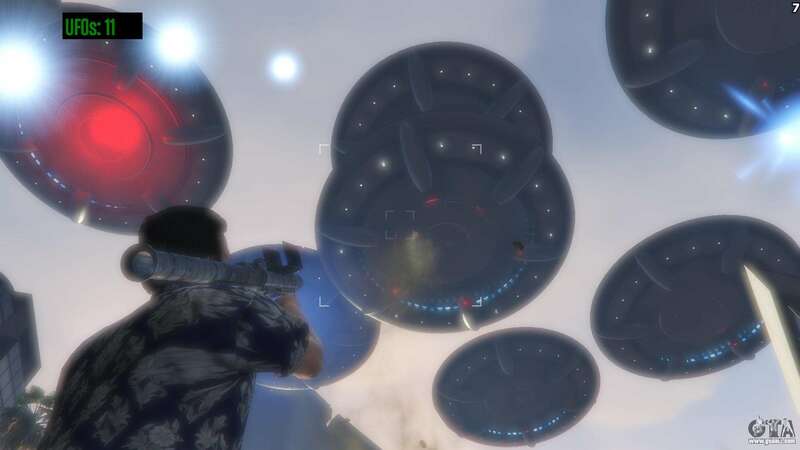 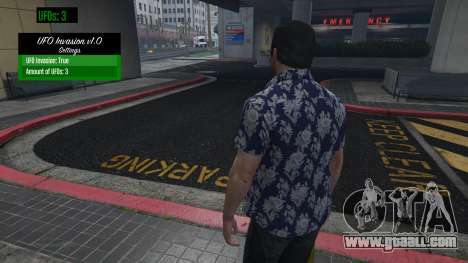 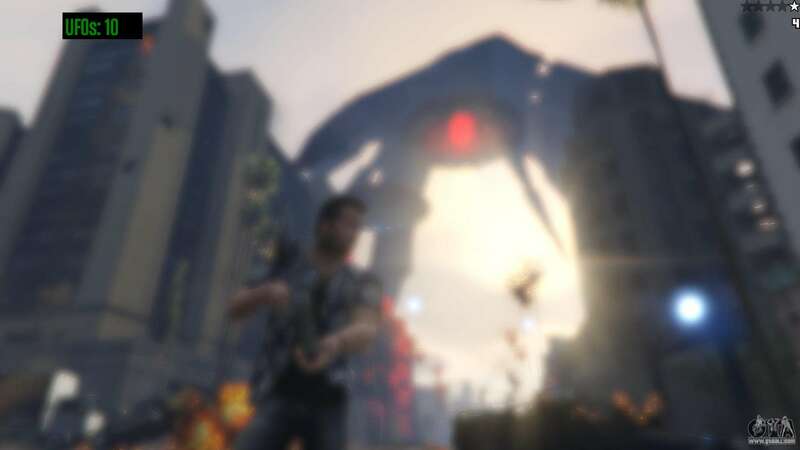 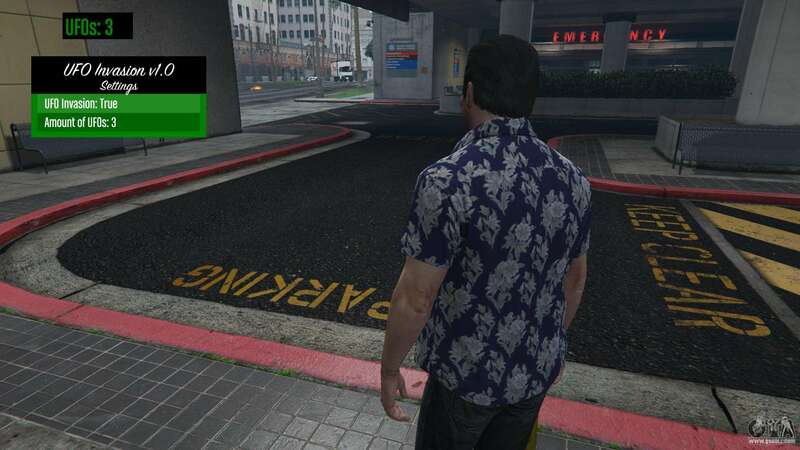 Mod UFO Invasion 1.0.1 for GTA 5 adds to the game the opportunity to have in Los Santos present the alien invasion in the tradition of "Independence Day". You can adjust the amount of alien ships attacking the city, but be careful - even just a couple to survive will be very difficult. 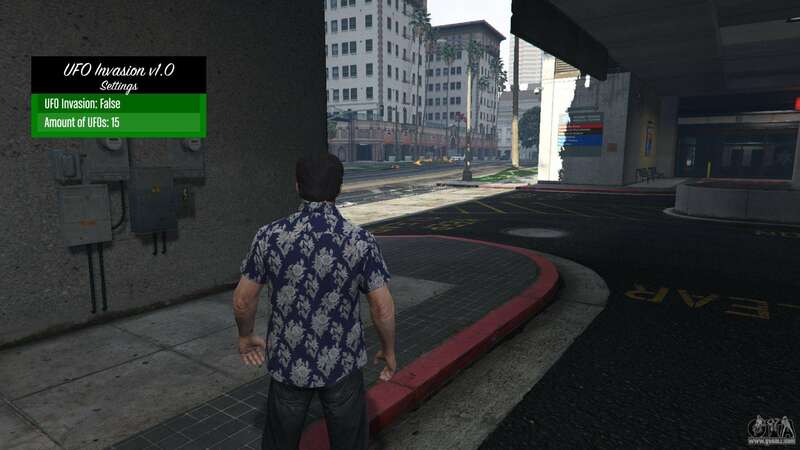 Hit "Ctrl+X" to open the menu. 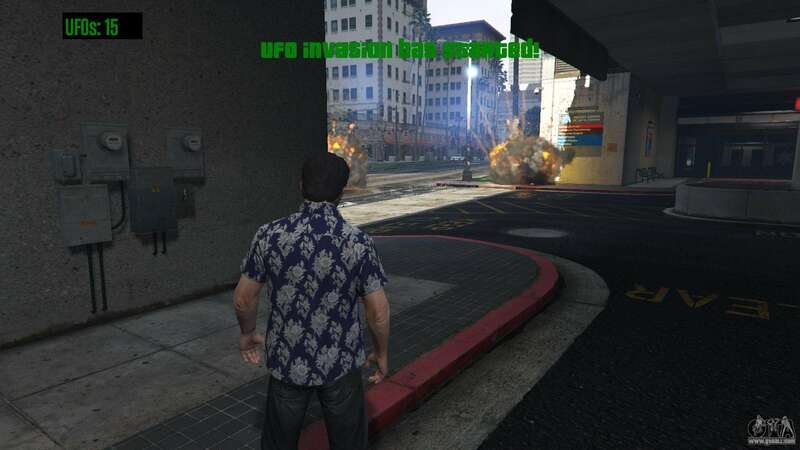 Mod UFO Invasion 1.0.1 for GTA 5 can be downloaded free of charge, just clicking on the links on this page.